30 Professionals Talk About Time Management. At Doodle, we understand that productivity isn't how much you're doing, it's how much you get done. 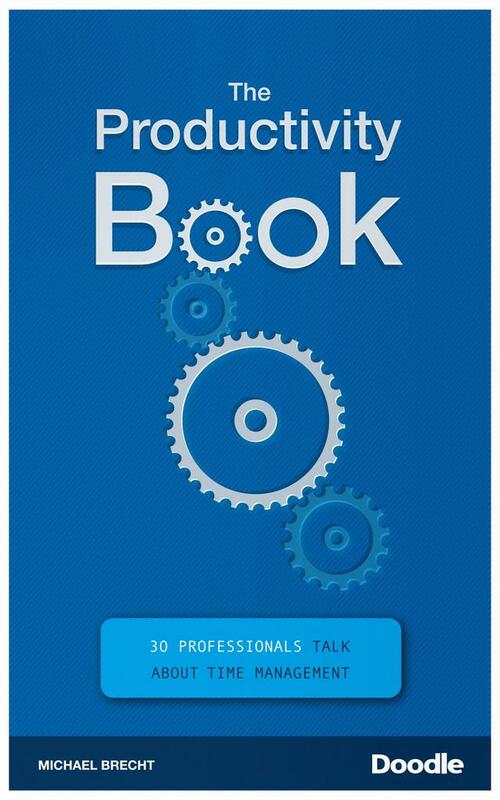 So, we spoke to 30 productivity and time management experts to figure out just how they do it. The result: The Doodle Productivity Book! It can't make more hours in the day. But, it will show you how to get the most out of the time you do have, so you can work smarter, and not harder. Filled with personal stories, insightful anecdotes and sound advice, this book is a fresh examination of the habits that shape us-and how others have managed to break free of them.